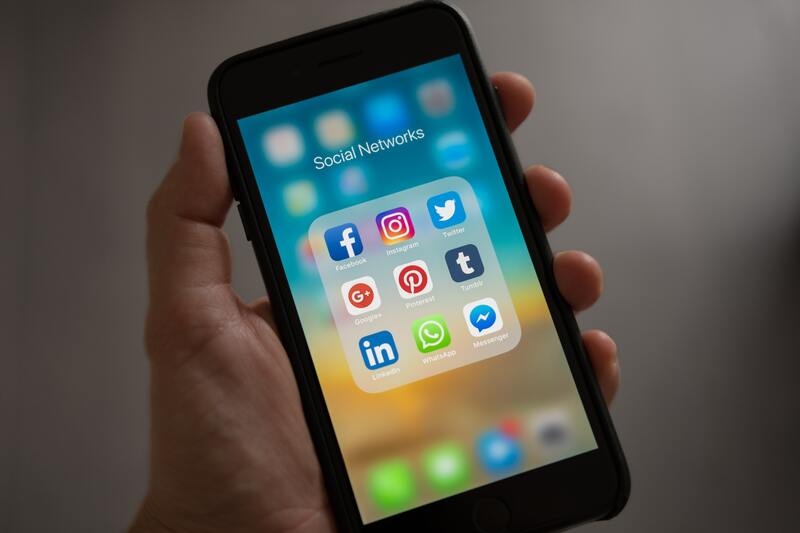 Facebook and Instagram launched yesterday a new tool within the official application of the site, to help users manage the time spent on social networking sites. 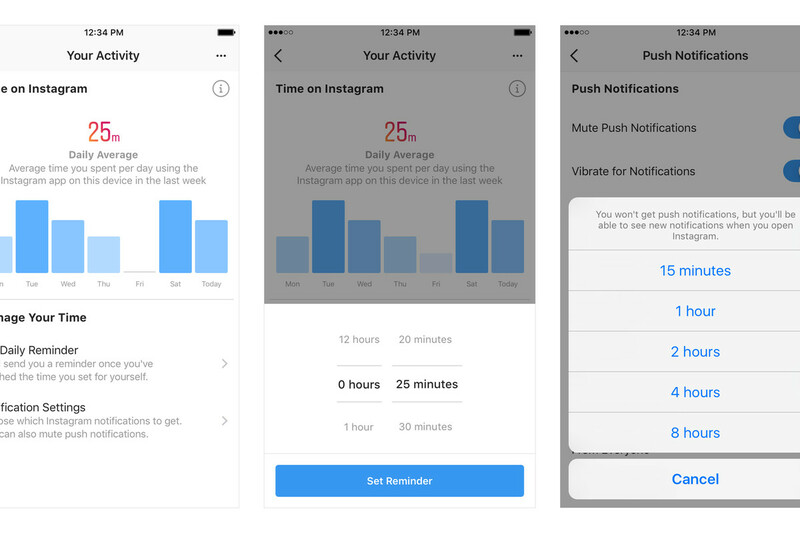 The new tool helps users around the world to know how much time spent through these applications, along with a new way to limit notifications. We have developed these tools on the basis of cooperation and inspiration from leading mental health experts, organizations, academics and large-scale research, said Amit Ranadev, Product Manager at Instagram and David Ginsberg, Facebook Research Director of the company’s official blog. The new feature will show users the average time they spend on the application on this particular device. 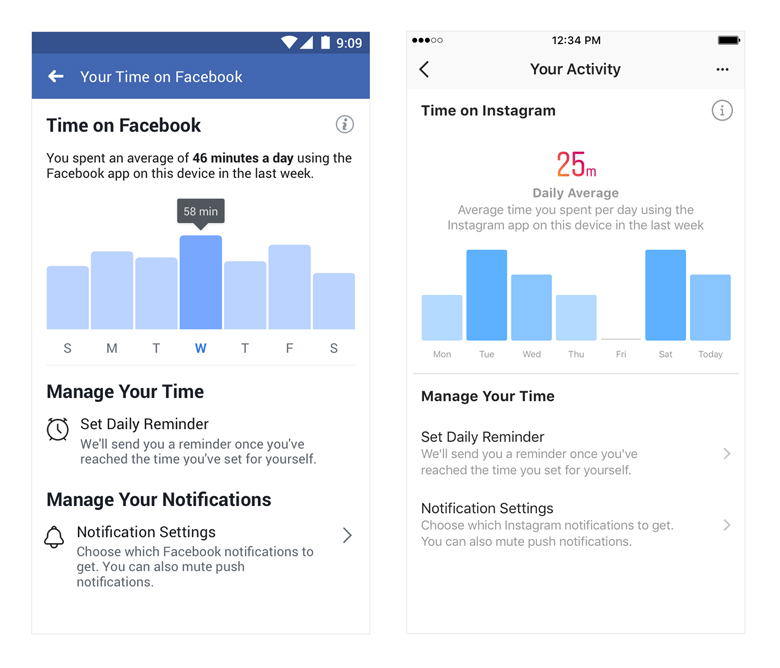 It is also possible to see the total time spent on Facebook and Instagram per day. The company said that this feature will be available to all users around the world next week. You can access these tools by going to the Settings page for both Facebook and Instagram apps. On Facebook click on “Your Time on Facebook”. Did you know Instagram is working on integrating the music into stories?